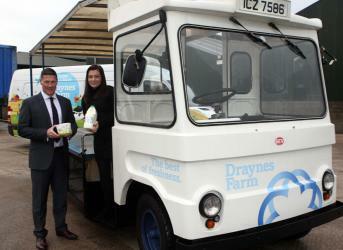 Netball NI is excited to announce a new sponsorship deal with Draynes Farm. 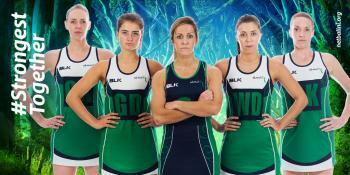 Having been a regular supporter of Netball NI over the last number of years for various events and national squads, we have now formalised our relationship and agreed a sponsorship package that will see Draynes Farm be ..
Watch the World Cup Qualifiers in Perth ( Scotland) this weekend live through the BBC Sport websitehttp://www.bbc.co.uk/sport/netball and connected TV.Be there for every throw, fall and jump!!! its going to be fantastic weekend of top quality netball form the 3 home nations ( Englan..
Netball NI are pleased to confirm that the next Introduction to Netball course will in Belfast at a venue TBC on the following date:31st January 2018If you are interested in gaining a Introduction to Netball award please complete and return the form found below to Lisa via email activeclubs@netballn..
We are delighted to announce the Netball athletes and management team selected to represent Team NI at the Gold Coast Commonwealth Games in less than 100 days’ time.Head Coach: Elaine RiceAssistant Coach: Clar Rois McGuinessTeam Manager: Karen RolloAthletes:Kyla BowmanLisa BowmanNiamh CooperMi..
Netball NI are pleased to confirm that the second Umpire C Grade course of the 2017-18 season will be at Lisburn Racquets Club on the following dates:21st January - Part one11th February - Part two11th March - Part three (this is the assessment part as part of a social event)Please note that for res..
Netball NI are pleased to confirm that a A/B Grade Umpire written assessment will take place be at the NNI office on the following date:10th February from 12-2.30pm and the address is:Netball NIPortside Business Park189 Airport Road WestBelfastBT3 9EDThe written assessment will be invigilated by Kar.. 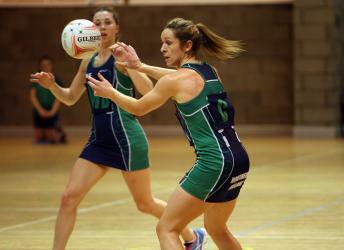 The International Netball Federation have today released their updated World Ranking list and Northern Ireland have moved up to 8th position - our highest ever world ranking. Executive Manager Karen Rollo said 'this is fantastic news and a testament to the massive amount of work that the sq..
An opportunity not to be missed with two world class speakers in the world of netball and sport! 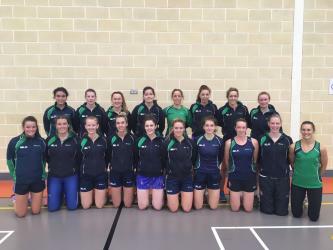 Do not miss out on our early bird price of 20% off the price by completing the booking form by the 15th December.If you are interested in attending the workshop please complete and return the form ..
Netball NI would like to congratulate Sonya Thomson and Laura Lovett for being selected to umpire at the Netball Europe U17 event in Dublin from the 2-4 March 2018.Sonya an A Grade umpire and umpire tutor/assessor has a lot of umpiring experience in our Premier League and this will be harnessed by N..
Be coached by an NI Senior Squad Player!Netball NI Senior Squad are running some coaching camps in the run up to Christmas to assist their fundraising for competing in the Gold Coast Commonwealth Games.2 camps have been confirmed to date:Saturday 2nd December 3pm – 5.30pm Lisburn LeisureplexU1..